There’s been a distinctive lack of posts around here, I hope you won’t hold a grudge but I’ve been trying to keep my head above water with assignments and general anxiety, so the mood hasn’t been very conducive to writing blog posts. 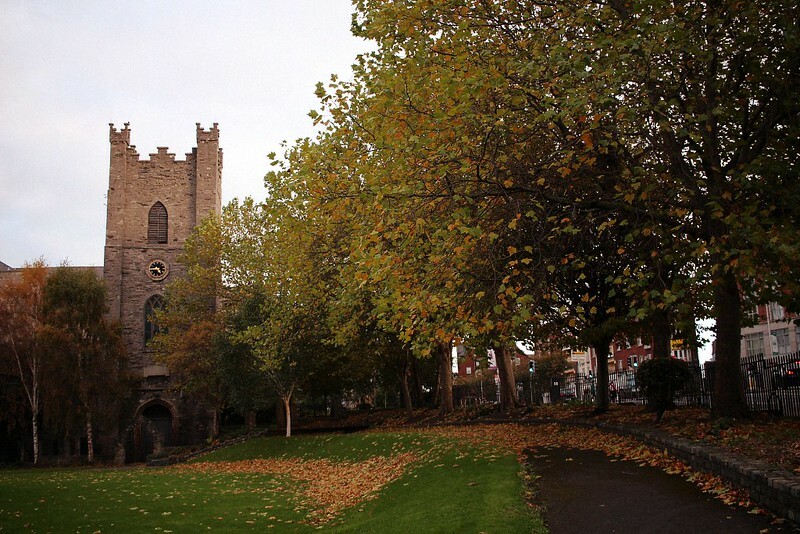 But yesterday I was out and about in town for a job and I thought I would take a few pictures to show you Dublin in all its Autumn splendour. It’s probably the season when Dublin is at its prettiest (although I’ll probably say something similar come Spring). 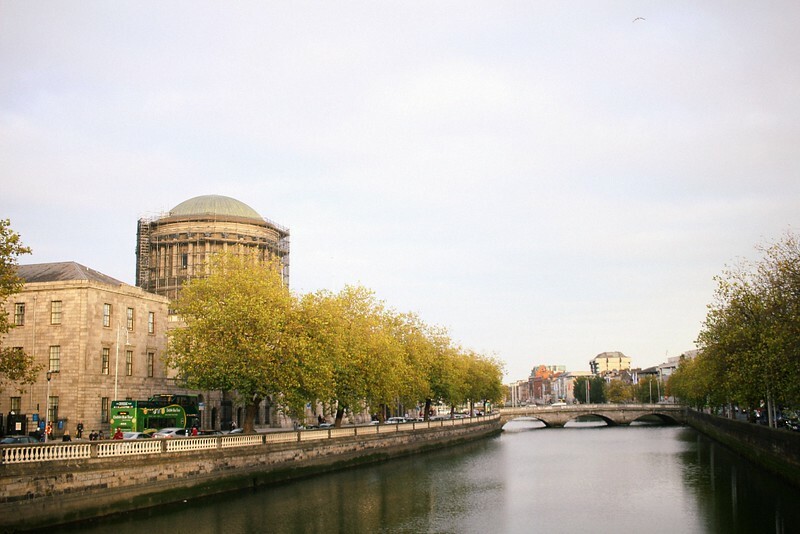 If you’re looking into visiting the Irish capital, I’d recommend you come at this time of the year as there are generally quite a few events and festivals knocking about and the weather is generally what you would expect, so no disappointment there to have (as opposed to our underwhelming Summers). Yesterday started with a bit of Dublin Bus drama, I was on my way to town when a guy decided to hold the bus hostage because the driver allegedly overcharged him. Nothing abnormal for a weekday but a bit of a pain when you’re trying to get somewhere. So I squeezed past the angry shouting men and decided to walk the way to town. This turned out to be a bloody good thing as it meant I had to walk through Stephen’s green. The park is a true Autumn Wonderland at the moment. 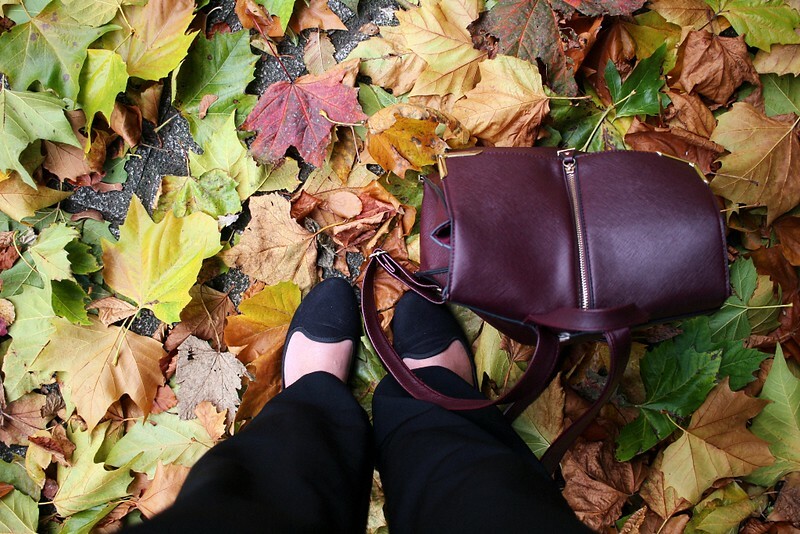 I slowly let go of the commute tension, breathed full lungs of the musty air and gleefully stepped on the dry colourful leaves. My first port of call was the National Museum of Archeology. It was my first time visiting it and if I hadn’t had to for a job, I’d probably have never stepped inside. If you read me regurlarly you know I’m a sucker for period rooms but I can’t say that anything happening before that time captures my imagination. So while the exhibits left me a bit cold (bar the very thing I was coming to photograph, it left me a bit shivery that… I’ll probably talk about it later), I was completely enthralled with the building itself. 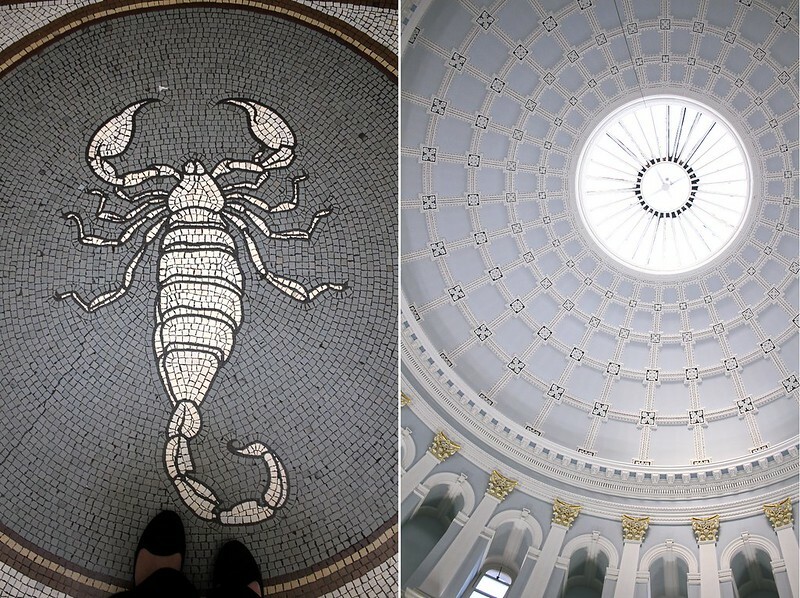 The tiled floors are some of the best I’ve seen and the domed ceiling in the entrance is one pretty amazing sight. 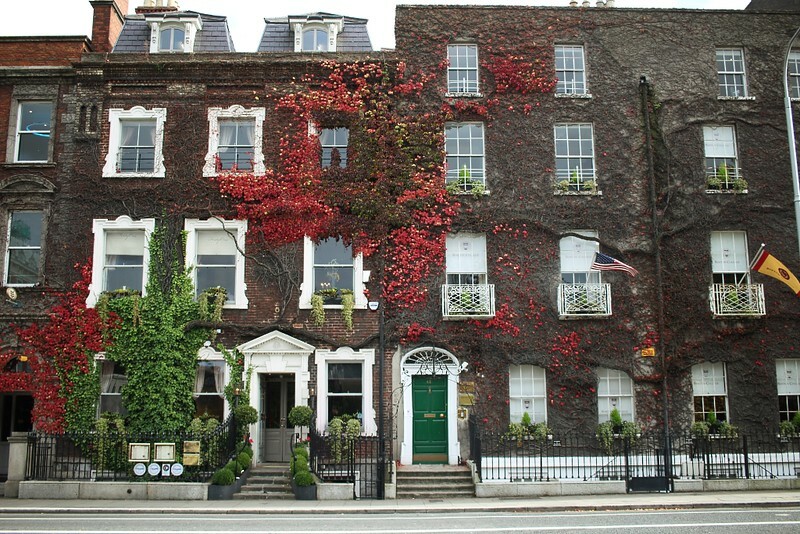 I then walked around the beautiful squares of Georgian Dublin to look at the red ivy creeping on the bricks here and there. The temperature dropped so I stopped by Yogism to get a hot drink. 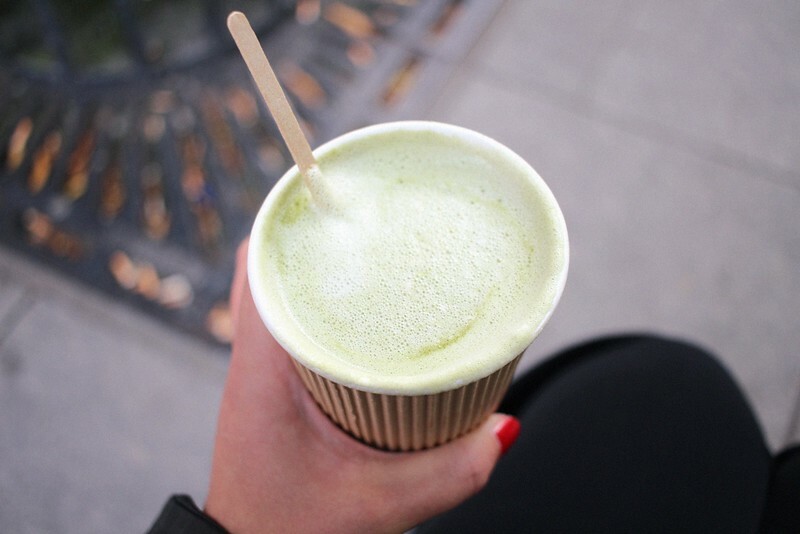 I opted for a matcha with almond milk which I’ve been meaning to try for the longest time. It was actually quite nice, would go for it again! (sorry I destroyed the pretty latte art because you know, SUGAR). 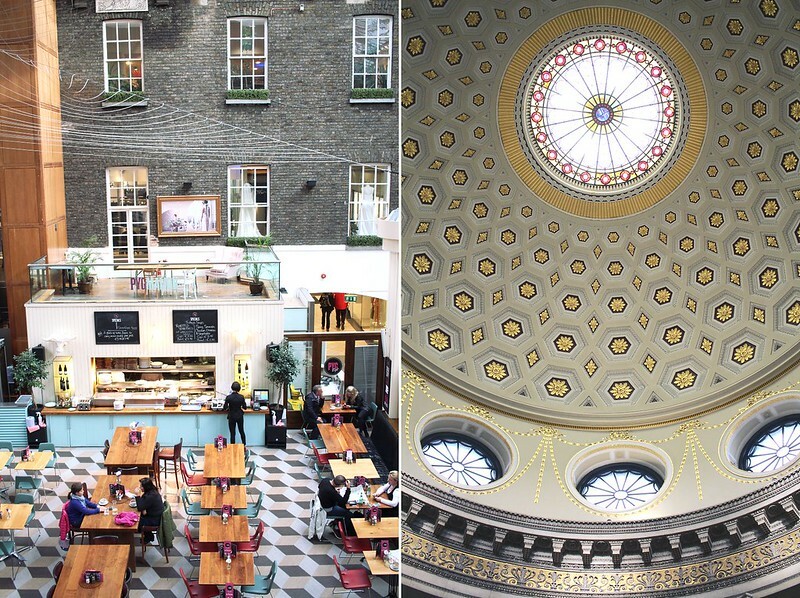 I was also looking for some new stationery so I stopped by TK Maxx and Article in the beautiful Powerscourt Townhouse. I already waxed lyrical about Article here but I could have bought everything, this shop is curated to a T.
The day ended with a couple of pictures taken at St Audoen’s Church and a walk by the Liffey to catch my bus home. Doesn’t it look like the banks could belong to Paris the way the light hits the stone? 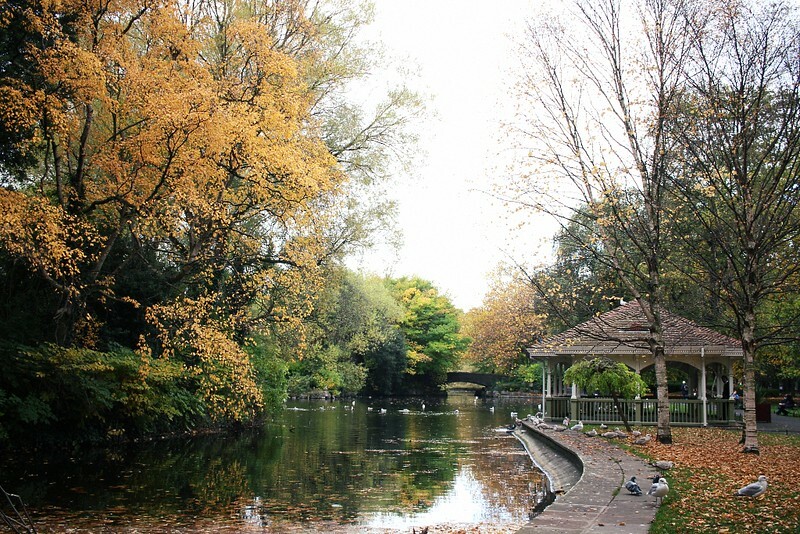 What’s your verdict of Dublin in the Autumn? Doesn’t it look glorious? What a lovely post! When I have been in Dublin at this time of the year there is nothing I like more than get up very early and have a good walk around St.Stephen’s Green,drink in hand (although I usually go for a much less healthy hot chocolate) Also,I agree 100% about Article,I’m yet to leave that shop empty handed. Hi! My name is Nora, I'm from Brussels but now call Dublin home. I love dachshunds, Angela Carter, walled gardens and mangoes among other things. This blog recounts my explorations in Ireland and beyond.